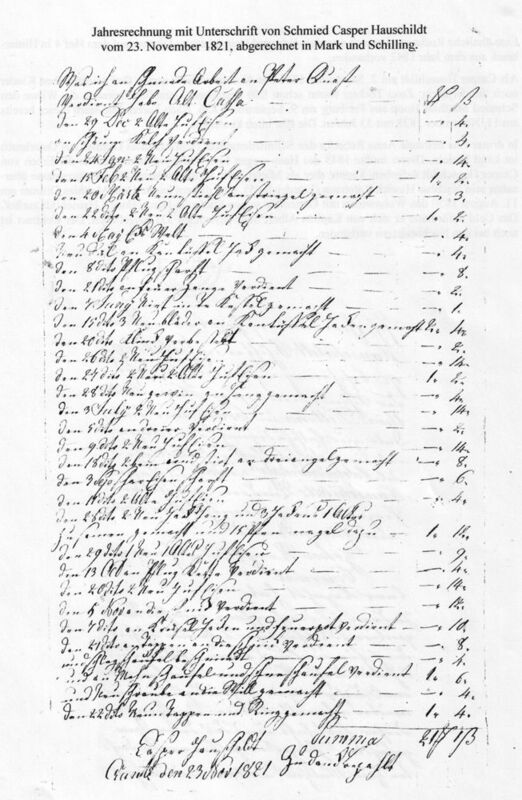 While I was in Neuenfelde in 2006, Jürgen Hoffmann supplied me with a whole bunch of material on the Hauschildts, including a bill for blacksmith work from Caspar Hauschildt to a Peter Quast in Hinterbrack. Most of the items relate to horseshoes being applied or adjusted. neun Tappen und Ring gemacht (für die Getreidemühle). Posted in Genealogy and tagged blacksmith, hauschildt.